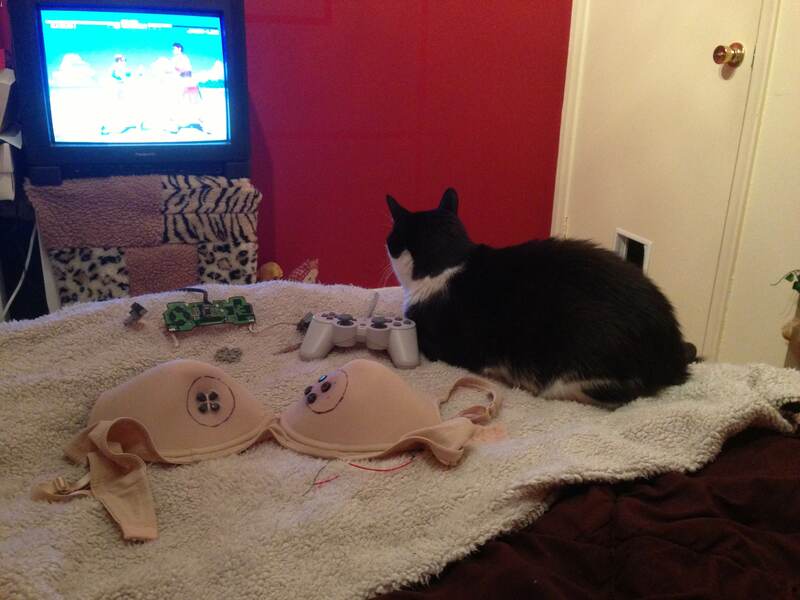 We’ve been prototyping our original Playstation controller bra and bro. We were originally going to equip the entire garment with soft circuits, but for the purposes of the Vector Game + Arts Festival we’re involved with, we decided it would look/feel far more badass if we used the actual buttons in the construction of our garments. Not only for tactility, but for gamer familiarity. We also decided that in the future, we’re going to work on not only the jockstrap, but we’re looking into creating such garments with analog joysticks and rumble packs! So exciting!